Tokyo, March 26, 2019 – In Japan, every emperor’s era has its own name – appearing in places such as coins, official paperwork and newspapers – and with abdication coming at the end of April, speculation is swirling about what the new “gengo” will be. The new era name is one of biggest changes – practically and psychologically – for Japan at the start of Crown Prince Naruhito’s reign on May 1. 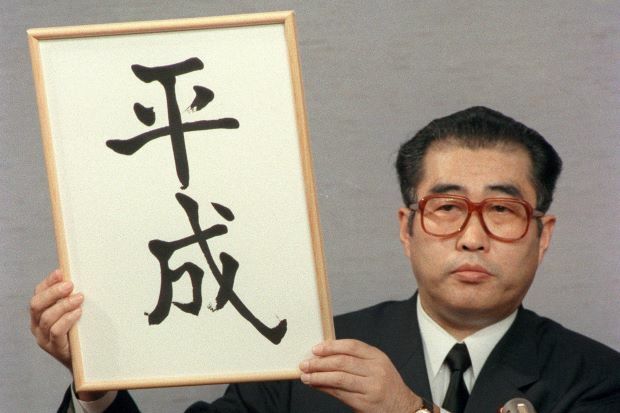 On April 30, Akihito will abdicate, ending an era in the minds of many Japanese. Fujitsu and NEC Corp. have been helping customers ensure the switch doesn’t crash their systems. Programs have been designed to make it easy to change the gengo, said Shunichi Ueda, an NEC official. It’s a word that captures the national mood of a period, similar to the way “the ‘60s” evokes particular feelings or images, or how historians refer to Britain’s “Victorian” or “Edwardian” eras, tying the politics and culture of a period to a monarch. The 64-year Showa era, which lasted until 1989, has generally come to be identified with Japan’s recovery and rising global prominence in the decades after World War Two. But remembering that his grandparents suffered during World War Two, he hopes that it will be an era without war, that Japan will keep up economically with China and India and that it will grow into a “mature,” more tolerant place.